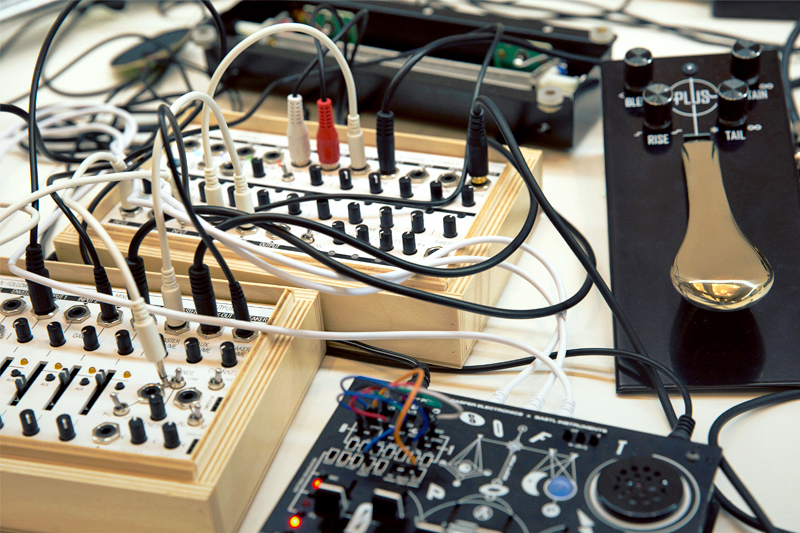 Having now discussed the more basic typical synthesizer building blocks, from Oscillators to Filters and VCAs, we now turn away from sound sources and sound modifiers toward the means of controlling these sonic resources. Envelopes are one of the most common tools used for shaping sounds in a synthesizer. Envelopes take many forms and can be used to control any aspect of a sound. 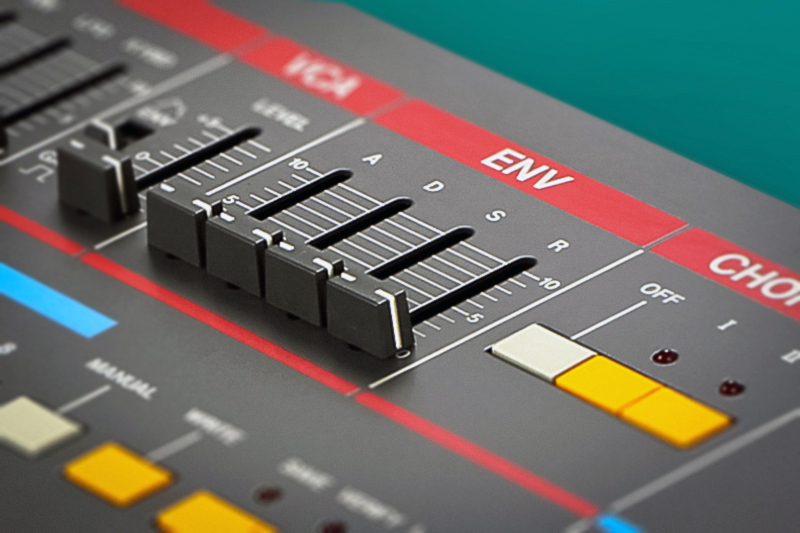 And while they may have changed shape since the early days of synthesis, their end goal is still much the same: to provide performers with flexible means of shaping the way a sound evolves over time. In the typical approach to subtractive synthesis, as we have seen, the most important building blocks of a sound are the VCO, VCF, and VCA. 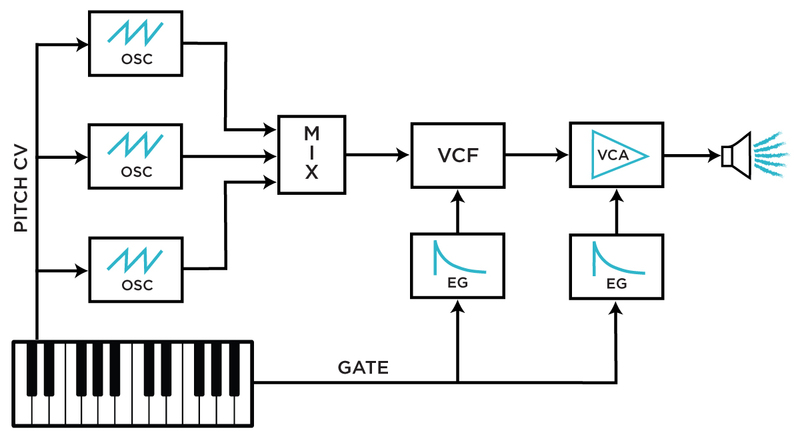 The VCO produces the basic sound; the VCF shapes the timbre; the VCA controls the loudness. However, these elements alone are seldom enough to create terribly interesting sounds. This is why modulation sources are so important—those parts of a synthesizer that are meant to control the behavior of the parts directly related to making sound. Envelope generators (EGs) are one common means of modulation in keyboard and modular synthesizers. Envelopes define a trajectory along which any parameter changes over time—dynamic profile, gradual shifts in timbre, and wavering of pitch can all be dictated by envelopes. 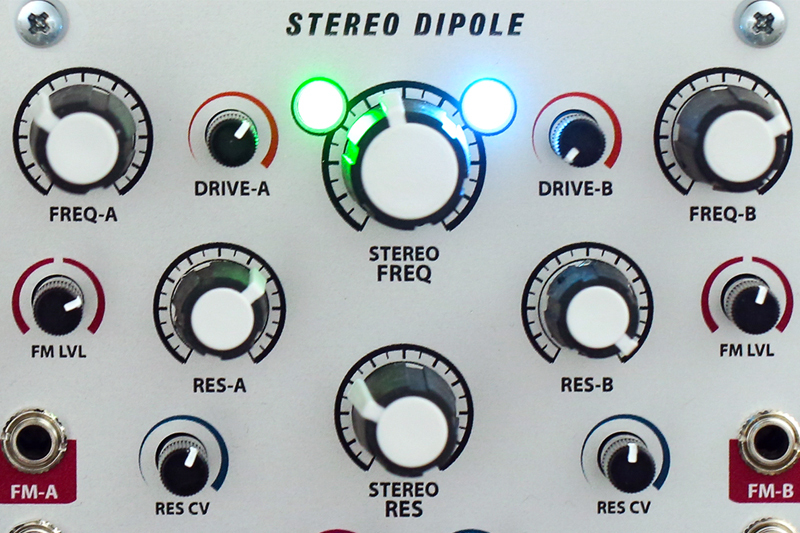 Detail of Malekko's Quad Envelope Eurorack module. One can find envelopes in almost every keyboard-based synthesizer—because of the typical subtractive method of soundmaking, in which sounds are built on the basis of a continuously droning oscillator, some modulation source needs to direct changes in the timbre. That is to say, there needs to be a part of the synthesizer capable of recognizing when a sound should change its character, how long it should take to change, and what course it should take to return back to its initial state. Envelopes are the typical means of performing these sorts of changes. In traditional synths, envelopes are usually one-shot modulation sources triggered by pressing a key or advancing a sequencer. Most commonly, the envelopes affect the loudness of the sound and/or the timbre (usually by means of opening and closing a filter). In this context, one can think of the envelope as a container: it is a particular shape that evolves over time, and the sound's loudness and timbre conforms to the container's shape, as if it were a liquid or malleable substance. In practical terms, this can define how a sound's volume evolves over time once a key is pressed, or how its tone color changes over time. This is usually implemented as seen below. In this (common) signal flow, two separate envelopes are used to define the sound's timbre (via the filter) and its loudness (via the VCA).  This (and minor variations) is the basis of many analog synth signal paths—two envelopes, each triggered from the same keyboard, allowing for a variety of effects. But how is it that these envelopes enable users to change the sound? What possibilities do they offer? Let's break down a few common types of envelopes and identify their typical means of control. Moog's 911 pre-dates "ADSR" terminology. In their most typical uses, envelopes are employed to create articulation. To recap: when fed to a VCA's control input, they shape the loudness of a sound from the moment of keypress onward; when fed to a lowpass filter's cutoff control input, they define how a sound's brightness changes over time. 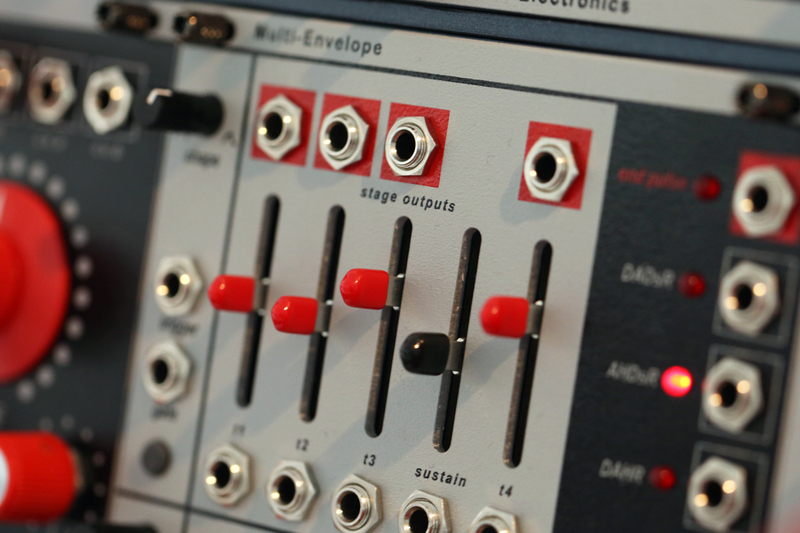 The earliest analog modular synthesizers offered very simple envelope generators—usually, simple circuits that allowed for only basic articulations. Perhaps one of the most revolutionary events in early synthesis history was an exchange between modernist composer Vladimir Ussachevsky and Bob Moog, in which the shortcomings of such simple envelopes were outlined. Legend has it that this exchange led directly to the initial development of the four-stage envelope generator, which is now perhaps the most ubiquitous type altogether. 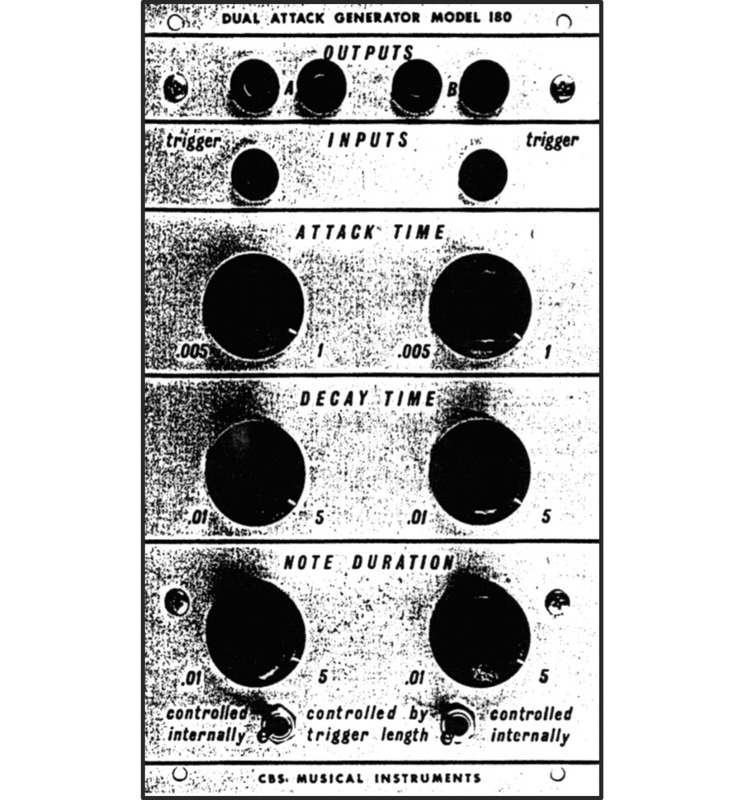 Moog's 911 was the first commercially-produced four-stage envelope, offering user control of T1, T2, and T3 time-based stages and the Esus sustain stage. This type of four-stage envelope generator is now more commonly referred to as an ADSR envelope. 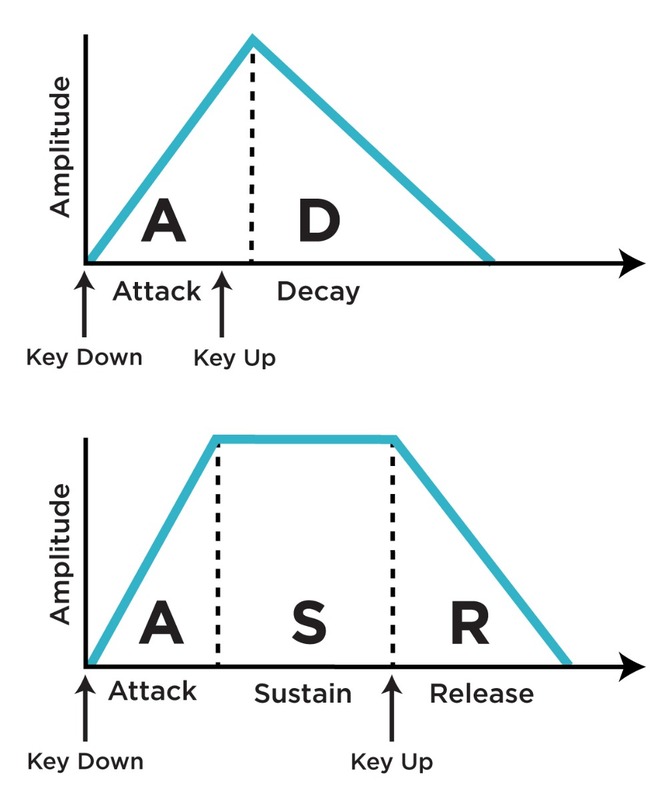 ADSR stands for Attack Decay Sustain Release, referring to the four stages through which the envelope advances from the keypress onward. We'll see soon that these stage types can be recombined in a number of ways in order to create envelopes that behave quite differently—but first, let's walk through the ADSR envelope stage by stage. In the typical synthesizer, the Attack stage begins when a key is pressed (or when a gate is sent to the EG in a modular synthesizer). The Attack stage usually offers control of duration—that is, the amount of time it takes to ascend to a high voltage level after the key is pressed. When used to modulate a VCA's level, this allows for everything from very sudden, abrupt note onsets to slow swells that gradually fade in from nothingness. After the Attack stage has reached its end, the highest point in the envelope's cycle, the Decay stage commences. The Decay stage also offers definable duration: in this case, the amount of time it takes to fall from this high level to a level defined by the Sustain parameter. By using moderate Attack and Decay times and a relatively low Sustain level, one can create sounds that begin with a swelled attack: a sound that increases in volume, decreases in volume, and then settles in at a low, continuous volume. Conversely, by using a short Attack and long Decay with a low Sustain, one can create a sound with a sudden onset that settles gradually into a quieter sustained level. Once the Sustain stage is reached, the envelope will remain at the defined Sustain level until the key is released—at which point it advances to the Release stage. As with the Attack and Decay stages, the Release stage usually offers user control of duration: defining the amount of time required for the envelope's output level to fall from the defined Sustain level back down to zero after the key is released. 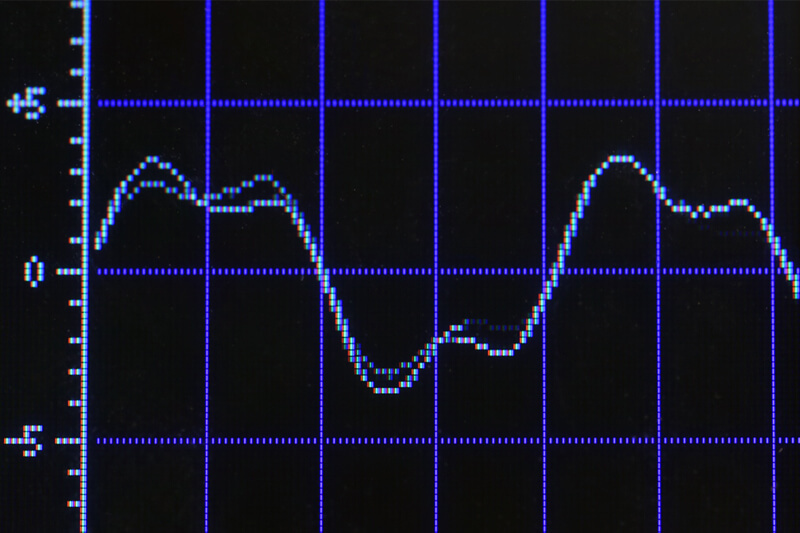 Detail of the ADSR on Roland's Juno 106. If the key is released prior to the Sustain stage, most ADSRs will advance directly to the Release stage—immediately starting a descent to zero from whatever the current envelope level is. This means of articulation is particularly useful for keyboards because it provides a simply-parameterized method of accessing a wide range of sonic behaviors: notes take on different shapes depending on how long a key is pressed. In particularly advanced implementations, one could even use information from the keypress (velocity, for instance) to control the envelope shape—perhaps a gentle keypress could produce longer attack and release times while higher velocities could create more abrupt note beginnings and endings. Perhaps key pressure could alter the sustain level, such that dynamic aftertouch swells could occur after the attack and decay have elapsed. There are tons of possibilities with even just these four stages. In sequencers where the performer does not have nuanced control of gate length or velocity, though, this type of envelope is not necessarily the most useful. 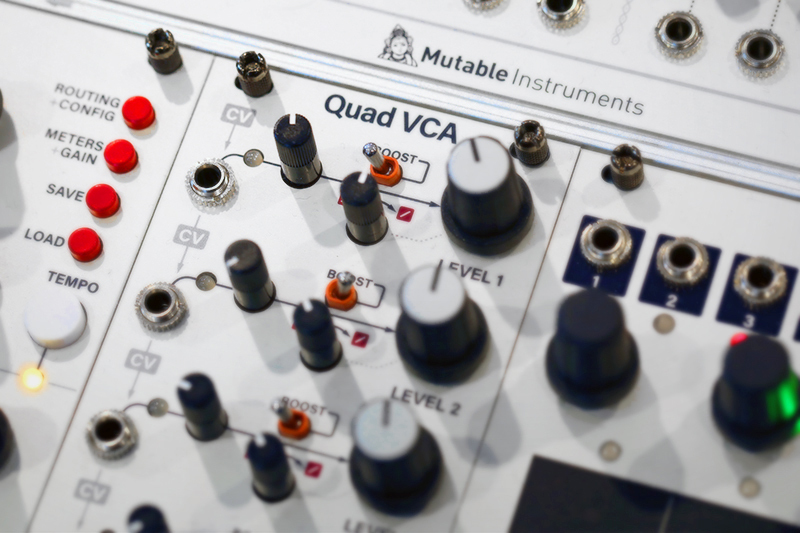 Many modular synthesizers and sequence-based synths forego the typical ADSR arrangement in favor of simpler envelopes. In fact, as mentioned before, the ADSR was a later advancement of synthesis technology, preceded by a couple of less nuanced (but still quite useful) designs. Perhaps the two most common simple envelope generator types are AD and AR envelopes. An illustration of the differences between AD and AR envelopes' response to keypress and key release. Attack Decay (AD) envelopes provide somewhat less nuanced response to an input source: they behave identically whether their inputs are triggers or longer gates, as they offer no sustain stage. AD envelopes produce a signal that, when triggered, rises to maximum level (during the Attack stage) and then descends back to a minimum level (during the Decay stage), with a timescale independent of the length of time a key is held. The Attack and Decay stages usually offer variable duration. These types of envelopes are excellent for percussive sounds, as well as for functions that need to be executed over long periods of time without continuously occupying the performer's physical bandwidth: that is, an AD envelope with long attack and decay times does not require the performer to continuously hold down a key in order to function. Attack Release (AR) envelopes, also commonly referred to as Attack Sustain Release (ASR) envelopes, are similar to AD envelopes, but provide an additional sustain stage. Unlike ADSRs, AR envelopes do not offer variable control of the sustain level: instead, they sustain at the envelope's maximum output level once the attack stage ends, and begin to descend once the key is released (or the incoming gate signal goes low). This should clarify the difference between Decay and Release. The term Release in this context implies that the envelope contains a preceding Sustain stage—and the Release stage only commences once the incoming "keypress" ends. Much like in an ADSR, the Release stage can begin at any point if the key is released. In an AD envelope, however, keypress duration is not respected: the envelope advances at the defined rate no matter how long the incoming keypress lasts. 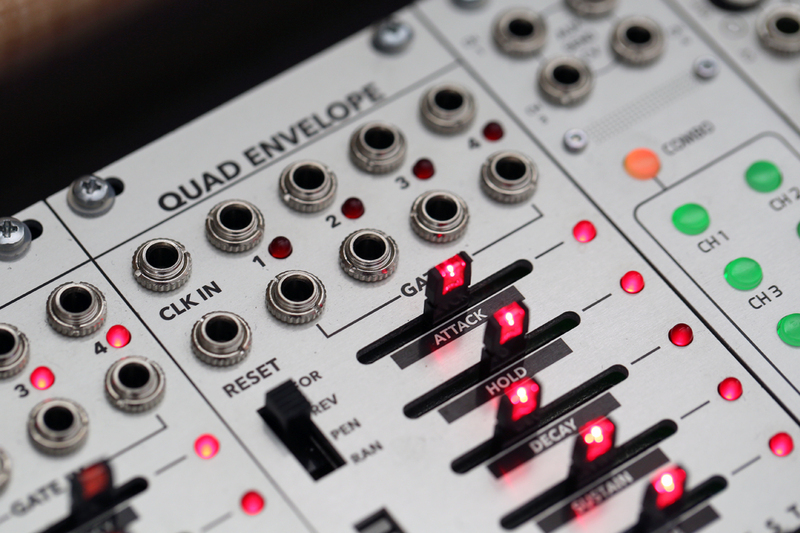 AD and AR envelopes are quite common in modular synthesizers, and often are simple functions of far more complex and powerful utility modules. Random*Source’s Serge DUSG, Make Noise’s Maths, and Befaco’s Rampage, for instance, are all multifunction modules designed to produce a wide range of modulation possibilities, but are most commonly used as AD/AR envelopes. We’ll delve a bit more deeply into the history of this style of module and how it can be used in Learning Synthesis: Envelopes Part 2. As stated before, envelopes in traditional synthesizers are typically utilized to create a sense of note-by-note articulation—they are usually governed by the pressing of a key, and serve the purpose of shaping a tone's loudness or timbre during the course of the key being pressed and released. In the VCO–VCF–VCA architecture commonly seen in traditional subtractive synths, envelopes have some obvious destinations: pitch, cutoff frequency, and loudness, respectively. 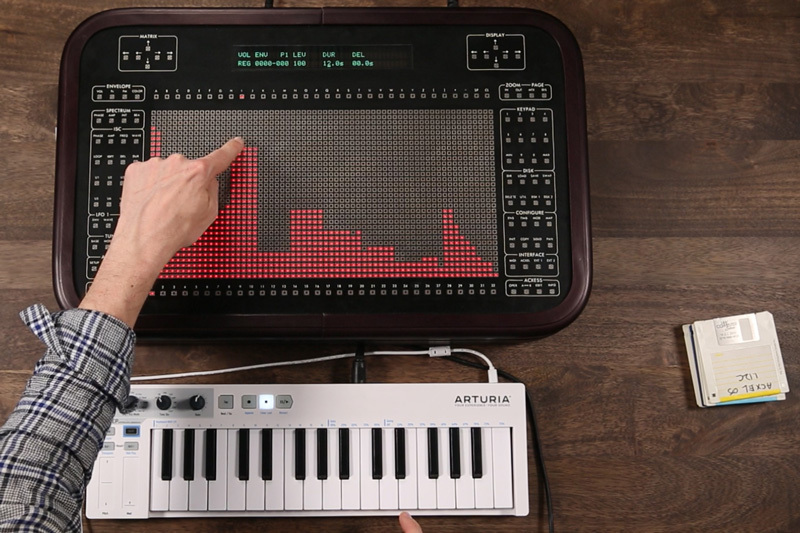 The ARP Odyssey, recently reissued by Korg, is an excellent synthesizer for demonstrating some of the many ways an envelope can be used in the typical subtractive setup. The Odyssey is itself a peculiar synthesizer, at first glance not dissimilar to a Minimoog or other 1970s monosynths, but with a number of idiosyncrasies that set it apart from the rest. Descended directly from the semi-modular ARP 2600, the Odyssey was designed to bring the flexibility of modular synths into keyboard format; it dispenses of patch cables in favor of a remarkably well-thought-out system of two-position switches and attenuation sliders for signal routing. 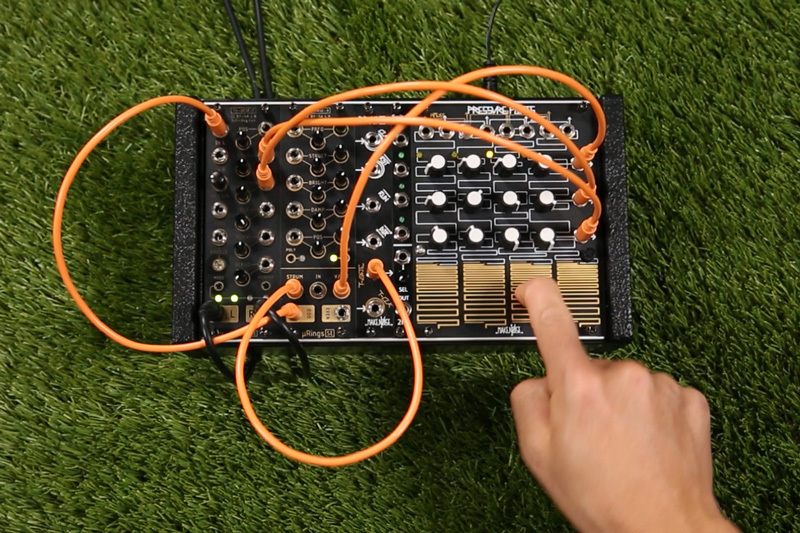 The Odyssey packs a lot of modulation and audio signal routing into a deceptively simple interface, and offers more envelope-related options than in the typical self-contained synth. 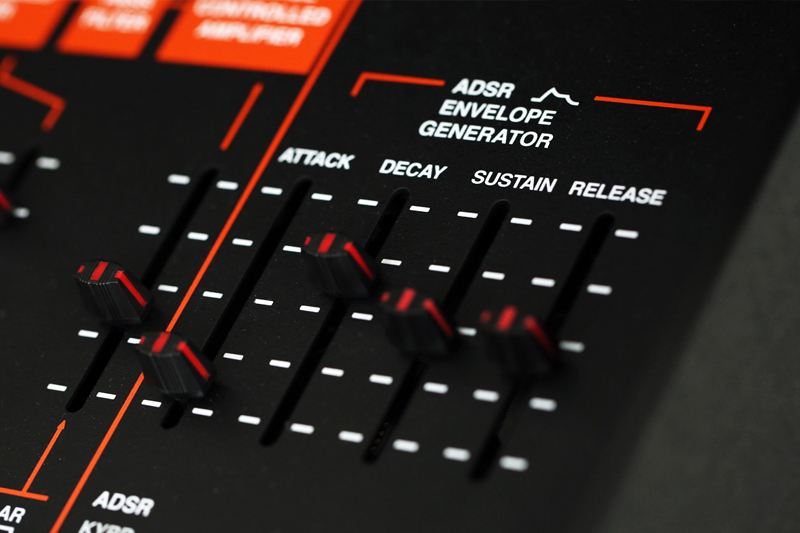 The Odyssey has both an ADSR envelope and AR envelope, each of which can be triggered by the keyboard or from the internal LFO's square wave—making it possible to create automatically retriggered envelopes or strictly keyboard-controlled envelopes. The AR or ADSR envelopes can be independently selected to control the VCF cutoff and VCA level. These are the most common envelope destinations in typical synth architecture, and for good reason: envelope modulation of the VCA allows for creation of a note's overall dynamic contour, and modulation of the VCF enables timbral change as the envelope progresses. In the Odyssey, this makes it easily possible to couple brightness and loudness response: by using the same envelope to modulate the filter and VCA at the same time, one can create sounds that get brighter as they get louder, or that get darker as they soften. By using the AR and ADSR to separately modulate the VCF and VCA, one can create more novel evolutions of timbre and volume. 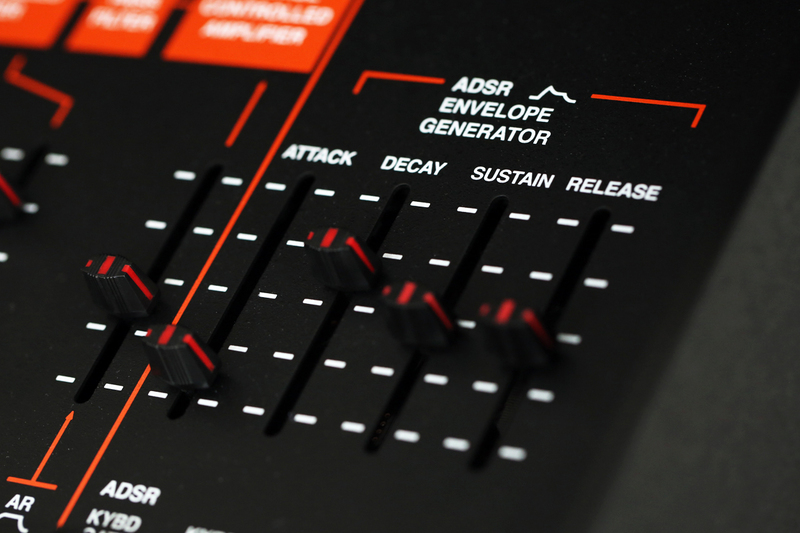 Detail of the Korg ARP Odyssey's envelope section. The VCF and VCA are the only places in which the AR envelope can be used in the Odyssey, but the ADSR envelope can be used to modulate some other parameters as well. For instance, the ADSR can be used to modulate each oscillators' pitch at independently variable levels. This makes it possible to create sounds whose pitch drifts over their duration—this could be used for a number of effects, from expressive pitch bends to cat-like yowls or zapping laser toms. Moreover, the second oscillator can be synced to the first; this hard sync feature coupled with envelope modulation creates the classic metallic sync sweep sound of countless leads and basslines. Envelopes can theoretically be used to modulate any special timbre control, as well—in the Odyssey, one can also use the ADSR to modulate the oscillators' pulse width, for instance. And while envelope routing is often a fixed feature in keyboard synths, modular synthesizers often provide a much more open-ended approach to modulation. An envelope can, in essence, be used for controlling any aspect of a sound. 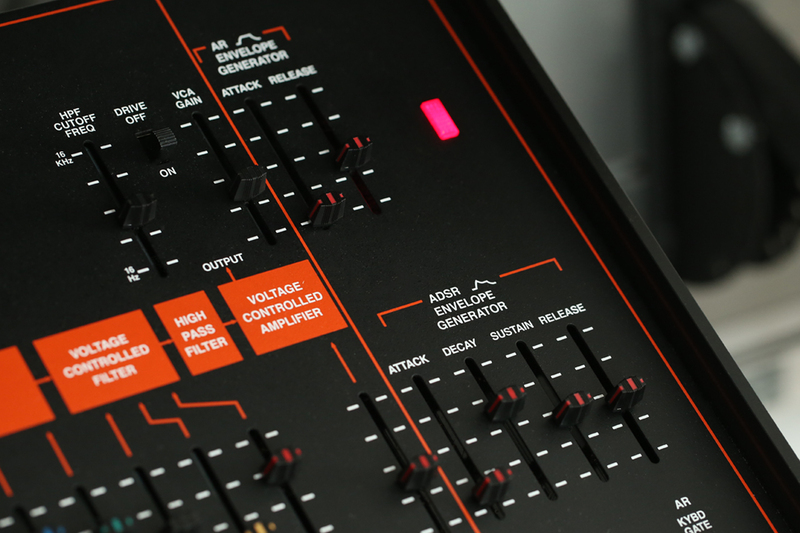 In a fixed-architecture synth (like most keyboard synthesizers), envelope amount or intensity controls are used to determine the strength of the envelope's impact at its destination parameter—on the Odyssey, this is handled by the sliders above the various envelope selection switches. This allows for variation between more subtle and more extreme modulation. On some synths, the "amount" controls will allow for positive or negative intensity values—in the case of positive modulation, the envelope shape is added to the parameter's default value; in the case of negative modulation, it is subtracted. This allows the user to switch from expansion-like to ducking-like effects when applied to filters or VCAs. Now that we've covered some basic envelope types and applications, let's look at some more novel envelope approaches. Common envelope shapes like ADSR, AD, and AR are often augmented by additional special-purpose stages. Two particularly common augmentations are Hold and Delay stages. Hold stages are most commonly part of AHDSR envelopes. Hold stages typically have fixed level and user-definable duration. In an AHDSR envelope, the Hold defines a fixed amount of time that the envelope's peak level is held between the end of the Attack stage and the beginning of the Decay. This makes it possible to create sounds that seem to have multiple sustain stages, breaking up the continuous Attack and Decay slopes found in the typical ADSR. In the Eurorack realm, AHDSR shapes can be found in the Malekko Quad Envelope and Erica's HADSR EG. The 180 Dual Attack Generator, from the original CBS Musical Instruments Buchla catalog. 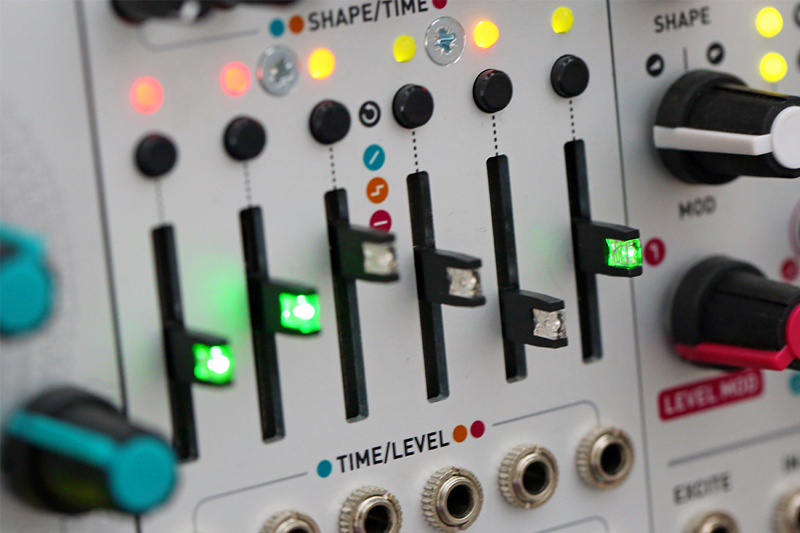 Hold stages can be added to other envelope types as well—Buchla's 180 Dual Attack Generator module, for instance, offered a "note duration" control with hold-like implications. Each of the 180's envelopes offers continuous variation of attack time and "decay" time, and an option of how note duration is determined. In one setting, note duration may be controlled by the length of the incoming pulse—in this case, the envelope acts as an AR envelope, complete with typical Attack, Sustain, and Release stages. The other setting for note duration, "Controlled Internally," provides knob control of an internal hold stage, though, turning the 180 into an AHD envelope—an altogether fairly uncommon shape. This type of envelope is pretty interesting, though...when used to control a sound's loudness, it can create sustained tones with sudden onset and release. This can create peculiar sustained snare sounds when used with noise as a signal source, or can produce interestingly articulated synth voices. When used to control pitch, it can act as a means of triggering a slide up to a new pitch, or an immediate momentary pitch shift if the attack and decay settings are set to be very short. Diagram of a DAHDSR envelope, another means by which Delay and Hold stages may be implemented. Delay stages are also relatively common. Delay occurs before an envelope begins—it is basically a control for the amount of time between a keypress and the envelope's onset. In DADSR envelopes, Delay determines the amount of time between keypress (or other initiating event) and the beginning of the attack phase. 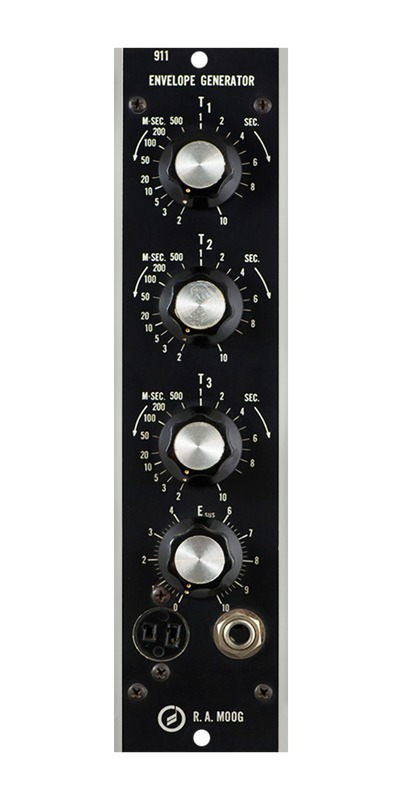 This type of delay can be quite useful—it is often used to delay the impact of a modulation source on a voice, or to delay the onset of modulation. A common application in the classic subtractive context, for instance, is to delay the onset of a filter envelope until a notable period of time after the amplifier envelope has begun—this way, the note can have an initial attack type based on amplitude alone, after which the filter envelope is engaged: this creates a "double attack" sort of effect, and can lead to everything from a sensation of slow evolution to a type of repeated onset. These envelopes aren't super common, but can be found in such devices as the Dreadbox/Polyend Medusa and the E-mu modular system's VCA modules. Some synthesizers use the terms "delay" and "hold" interchangeably—and that's quite fair, since they have a similar effect: they are a fixed period of time between one event and the next. In this way, it should be clear that these stages could be placed basically anywhere within an envelope. Many envelopes offer control over response curve, which may also be referred to as curve shape. This determines the overall slope of the envelope from high to low voltages and vice versa. Not all envelopes offer this control, but when they do, the often offer selection or continuous fading between exponential, linear, and logarithmic shapes. Linear shapes create a direct path from low to high voltages. Exponential shapes appear to be more "concave" whereas logarithmic shapes appear to be more "convex." 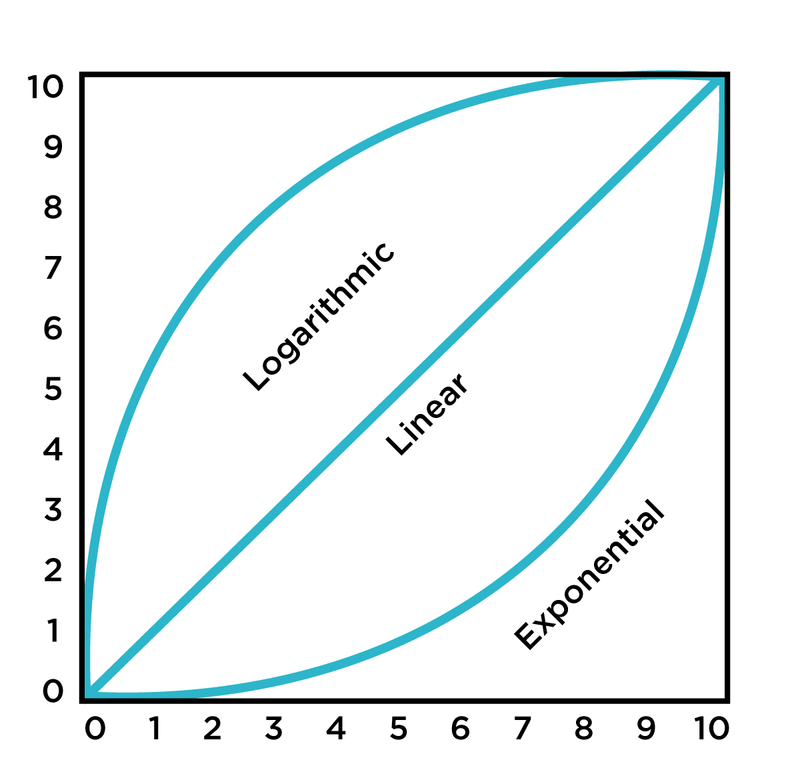 Comparison of linear, logarithmic, and exponential curve shapes. Different envelope shapes may be preferable for different musical applications. For instance, as discussed in our prior article on VCAs, the relationship between signal amplitude and perceived "loudness" is not strictly linear—in fact, it's closer to logarithmic, meaning that minute changes in signal level toward the bottom of audibility have fairly profound effects, but similar changes in amplitude on the higher end of volume produce a less pronounced difference. For this reason, exponential envelope shapes are often used for controlling the amplitude of a sound—the exponential curve helps to compensate for this, balancing our more-or-less logarithmic "loudness perception" with a more concave amplitude curve to create what in the end sounds like a much more smooth, continuous change in volume. Pitch perception works in a similar way; so exponential envelopes are often favorable for creating pitch sweeps, as they yield a much more continuous sweep than does a linear or logarithmic envelope. Moreover, envelope destinations often have the option for response curve adjustment—so often, linear envelopes can do the trick quite nicely if, for example, the VCA allows for linear to exponential shaping on its CV input. As I said in our VCA article, don't fret too much about these differences—it becomes very easy to identify what sounds good and what doesn't with the actual tools in hand. Over time, you intuitively learn that exponential envelopes sound "snappier," that different envelopes sound better or worse with different VCAs, etc. As with most things artistic, there is no right or wrong way to do things; there is only personal preference. Envelopes can, in theory, modulate almost any parameter in a synthesizer. While we have so far discussed their implications in terms of loudness, tone color, and pitch, they can serve more complex purposes: they could modulate delay time, the speed of a sequence, a sound's movement through space, etc. We have discussed some of the most basic envelope types and most common concepts in this article, but the world of envelopes gets much more peculiar. Some musicians and instrument designers have over time demanded more complex and precise control, and have expanded the notion of "envelope" well beyond the scale of the note—in some cases, extending into the realm of phrase structure and musical form. 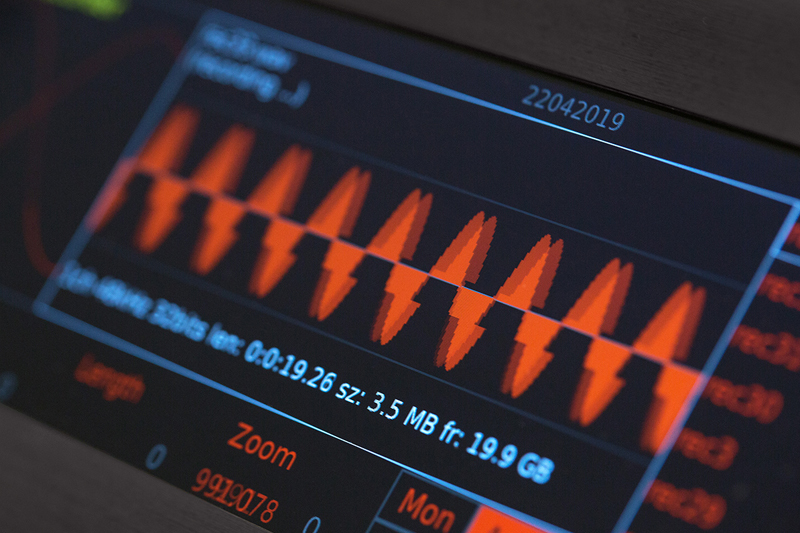 In Learning Synthesis: Envelopes Part 2, we'll discuss some of the more peculiar forms that envelope generators can take: Dual Universal Slope Generators, Multiple Arbitrary Function Generators, Transfer Functions, Tracking Generators, and beyond.